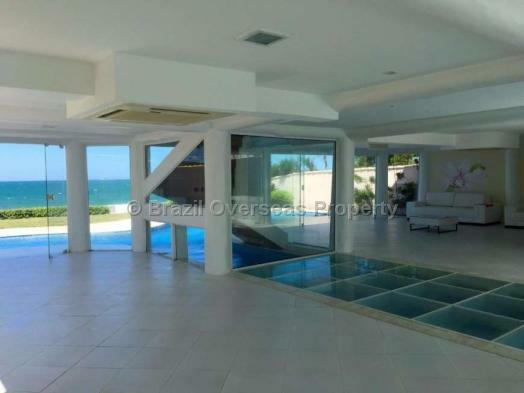 A stunning frontline mansion with wonderful swimming pool located in one of the best locations in Buzios. 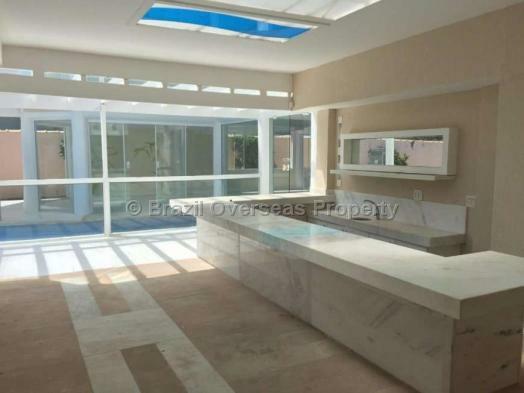 The land area is ¼ of an acre (1080m²) with the house offering over 394m² of built area. 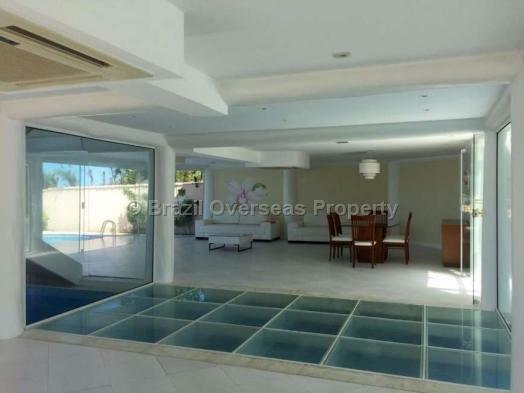 The house offers 4 large bedroom suites one offering jacuzzi, large lounge and living area , bar, industrial kitchen, swimming pool designed in the shape of a whale which runs right through the centre of the house construction. 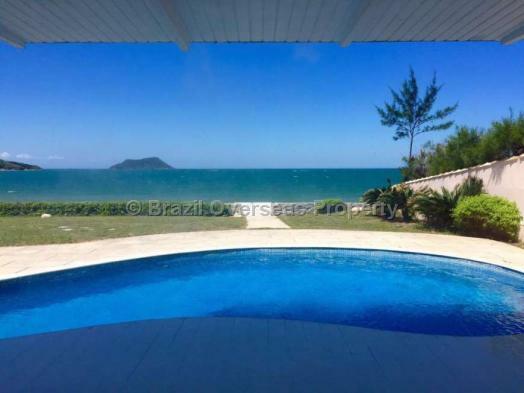 Perfect luxury retreat for holidays or permanent living. 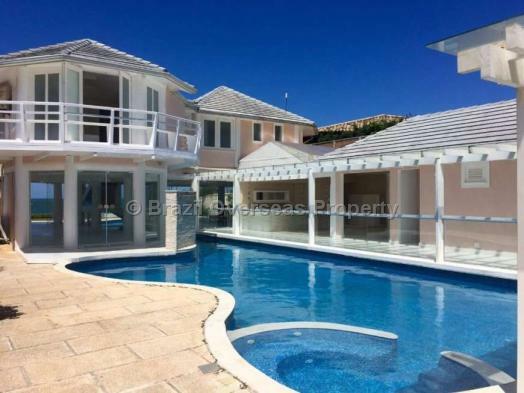 The house is being advertised for sale with clear title. 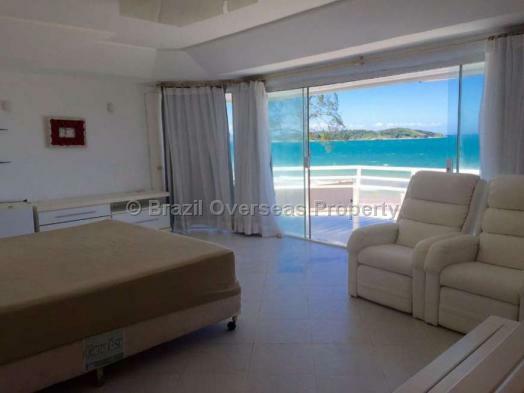 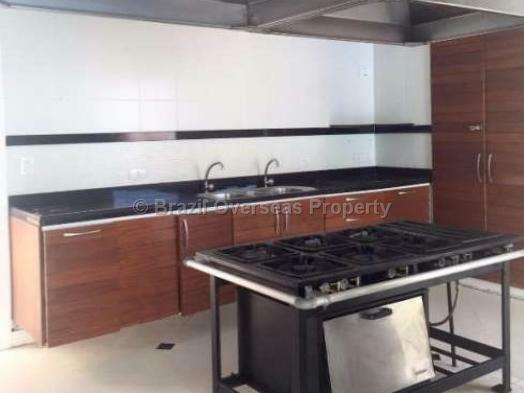 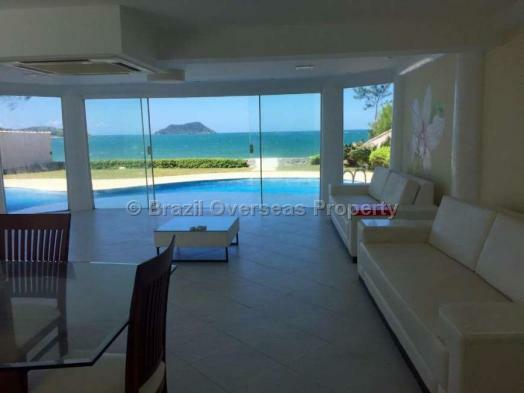 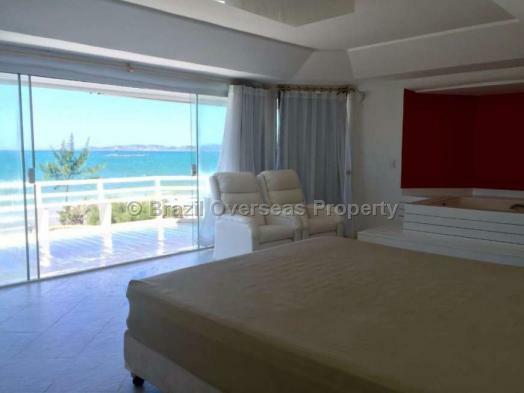 The advertised sales price of this house sale in Buzios includes the cost for allocation of your individual Brazilian CPF number, which is required for you to buy a property in Brazil, although, does not include registration taxes/fees paid in Brazil to put the property into your name. 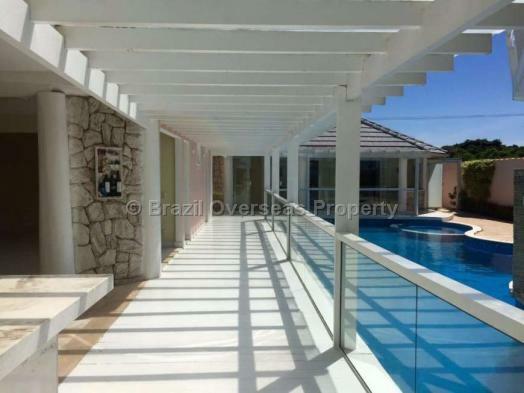 Although it is not mandatory to use a Lawyer when buying homes in Buzios, due to the fact that a CRECI registered estate agent is qualified to carry out the complete property sale and purchase transaction in Brazil, Brazil Overseas Property recommends that you do use an independent lawyer in Brazil registered and qualified with the OAB (Ordem dos Advogados do Brasil), and a Lawyer who is also familiar with the region where you intend to buy property in Brazil, as well as being fully qualified to deal with the type of property you are buying. 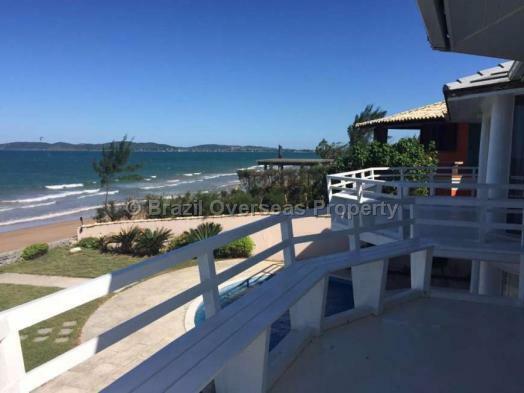 Legal fees and officially translated documents are not included within the advertised selling price of this home in Buzios (RJ).